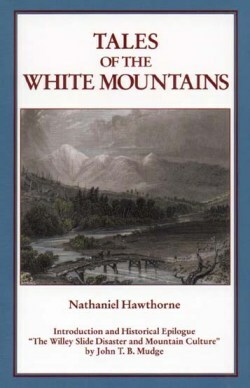 Tales of the White Mountains, by Nathaniel Hawthorne, with Introduction and Historical Epilogue by John T.B. Mudge, 2001. Anthology of four Hawthorne short stories set in the White Mountains: "Sketches from Memory," "The Great Carbuncle," "The Ambitious Guest," (about the Willey Slide in Crawford Notch) and "The Great Stone Face," Also includes several other accounts of the Willey disaster. Hardcover, 5 1/8" x 7 3/4".